Whether yours is a single family subdivision or townhome project entranceway Integrated Paving Concepts has solutions that offer visual excellence for your subdivision entrance or driveway. Our wide range of decorative asphalt systems provide project stakeholders with almost unlimited design options; from the look of traditional pavers and bricks to a more contemporary image. 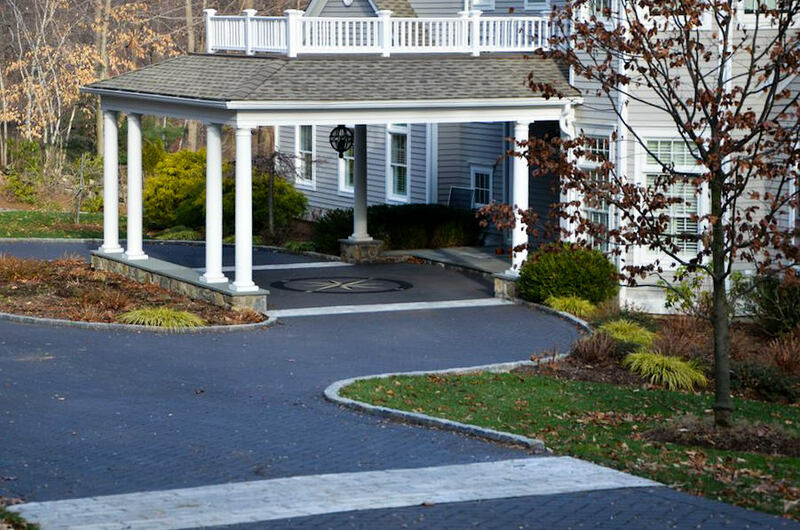 Whatever you decide Integrated Paving Concepts has a system that will enhance your project’s curb appeal and also lives up to your performance expectations as well. Integrated Paving Concepts specializes in innovative coating and thermoplastic systems for enhancing asphalt surfaces. Established in 1992 and currently active throughout North America and internationally, Integrated Paving Concepts is the proven technology leader in its field. Our systems facilitate innovative street and parking lot design and contribute to more livable communities. We not only strive for visual excellence; we design solutions that are durable, practical, safe and sustainable. Learn more about our Residential solutions – call 203-755-3452 or send us an email to make an appointment today!